Another great SMPS event in Dallas with guest speakers from Irving ISD, Dallas ISD, Garland ISD, and Richardson ISD (pictured from left to right). 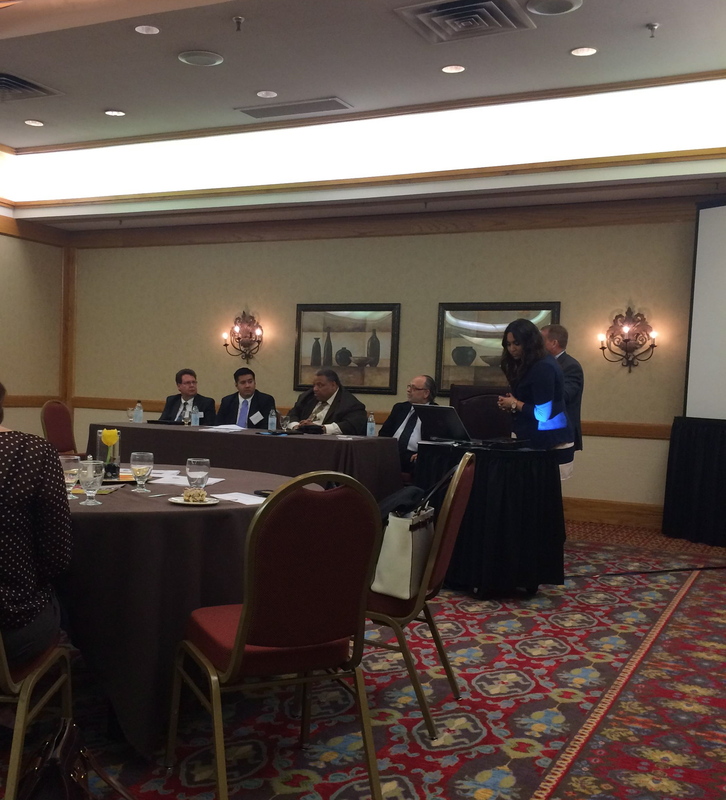 Alpha’s Jeff Wilt and Tom Patterson joined the K-12 panel presentation on May 5. Scott Milder from Stantec lead the discussion, which encompassed upcoming opportunities for design and construction professionals. Alpha looks forward to the opportunity of serving these and other school districts this year. It is with gratitude and excitement that we announce our #334 spot on the national ENR Top 500 Design Firms. Gratitude for our outstanding teamwork here at Alpha, which made the growth possible, and excitement for our 50th place jump from last year! Keep an eye out around each office for a plaque in honor of this achievement. Thank you to everyone who made this ranking possible! It’s not every day that you get to spend a Saturday at Texas Motor Speedway for the Keller ISD Education Foundation Gala. Jeff Wilt, his wife Beth Wilt, and Robert Boone were all attendees of the third annual fundraiser Spurs and Stilettos on May 2, 2015. 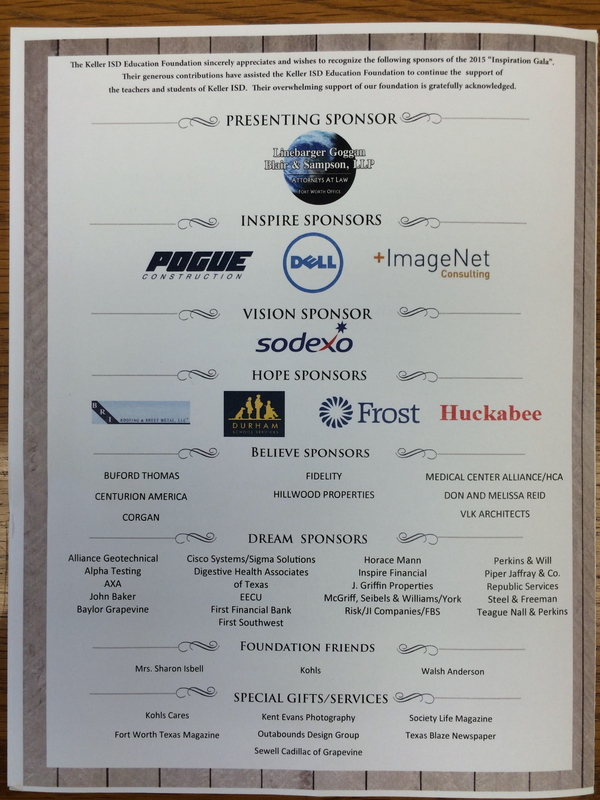 Alpha was a sponsor of the celebratory event for the District. Apart from the entertainment down on the track, the Gala also featured a silent auction, dinner, and awards ceremony for Grant Recipients and Teachers of the Year. This 42-acre ranch, just outside of McKinney, TX, is a growing development of a different kind. 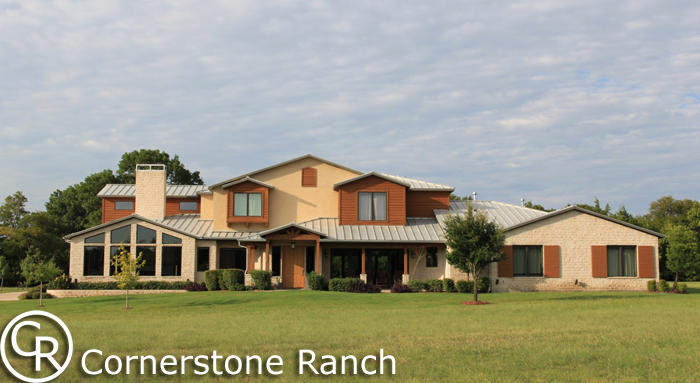 Cornerstone Ranch is an organization that provides residential housing and day programs to adults with special needs. Since its inception in 2006, Cornerstone has focused on family-centered, community living. Residents enjoy an independent life with their peers and the support of their staff family. The 10,000 sq ranch house is just the beginning. Cornerstone has big dreams for this special needs community. Their 10-20 year expansion plan includes multiple group homes, various facilities, a barn, and activity center. Many of the firms working on the expansion are providing gifts of service in support of the project. Alpha is currently contributing construction materials testing for the ranch and is working alongside RPM xConstruction and Mesa Design Group. Alpha is proud to be a part of this growing community and is excited to help make visions a reality.